Enjoy Clean Healthy Eating The Safe/Clean Grill Brush By Kona provides a cleaner, healthier grill surface than other brushes and eliminates the risk of bristles ending up in your food. 2) Fill a small container with water to dip the brush in frequently while brushing. This creates a steam cleaning effect when the wet brush touches the hot grill for deep cleaning. 3) Work in square sections defined by horizontal grates. Do not glide over horizontal grates as you would with a wire brush. 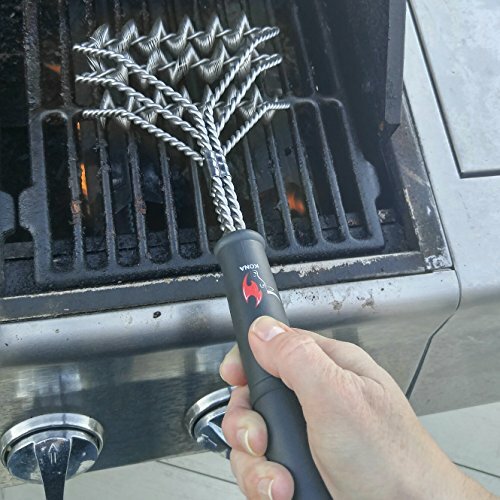 4) Angling the brush backwards slightly can provide a deeper clean depending on the diameter of your grill grates. 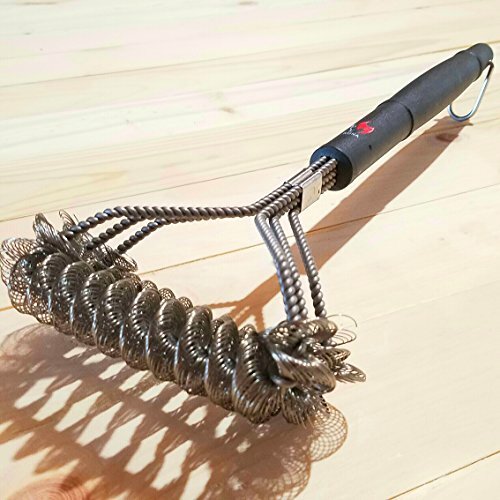 BRISTLE FREE GRILL CLEANING - A great alternative to the KONA 360 CLEAN grill brush for people who do not want bristles. 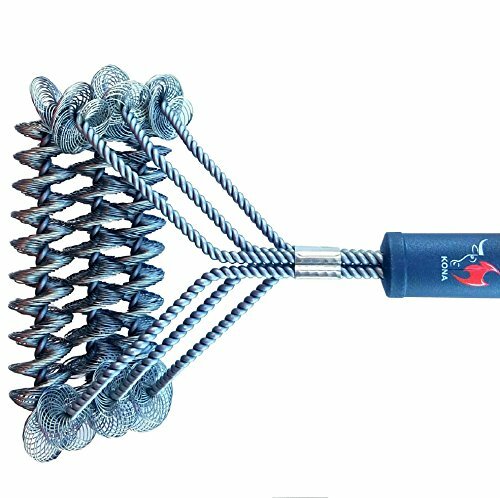 No sharp edges, and no need to worry about metal bristles falling out and this BBQ brush will not melt like nylon grill brushes. Unique design is 3 brushes in 1! FOR BEST RESULTS: Repeatedly dip brush in water during brushing hot grill to steam clean. 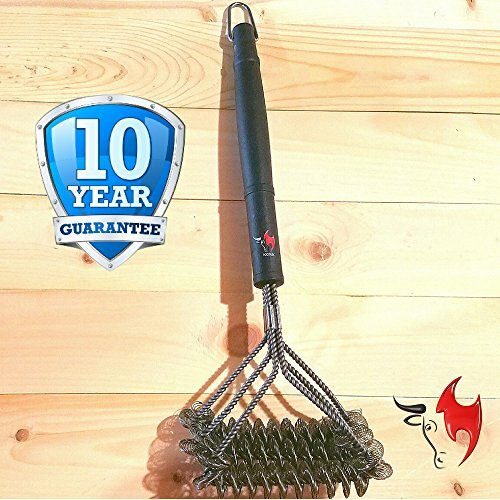 RECOMMENDED FOR ALL GRILL TYPES - Safe for Porcelain, Ceramic, Infrared, Weber, Char-Broil, etc. Keeps your grill looking shiny new! GUARANTEED TO LAST 5X LONGER - 125% more rigid grill tool than a conventional brush. There are no bristles to wear down or fall off. Will not bend or become flimsy. The latest innovation in grill accessories. THE IDEAL HANDLE LENGTH - To keep your hands away from the heat and use at the perfect angle. Allows the use of both hands with minimal effort. It also keeps your hands from getting burned by keeping them further from the heat. Shorter brushes take way too much effort and longer brushes are too cumbersome. 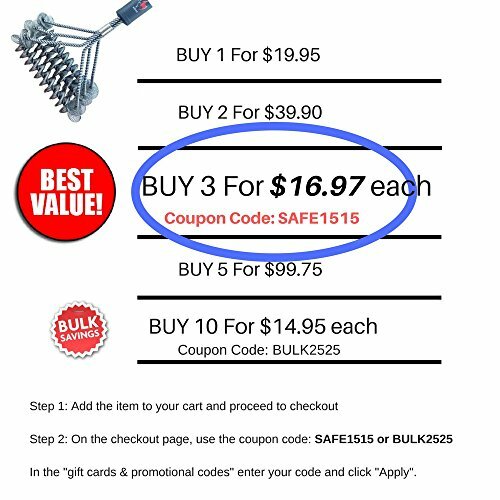 10 YEAR GUARANTEE ($34.99 Value) INCLUDED FREE! 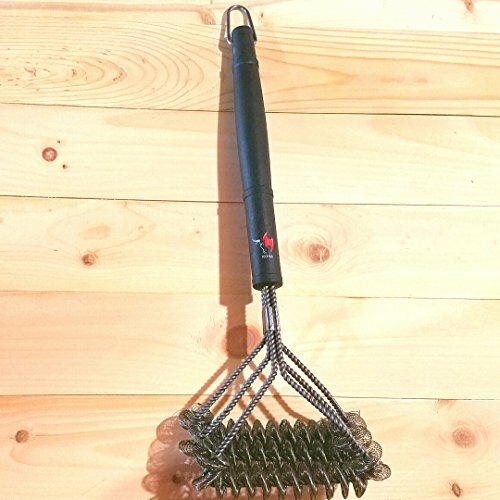 So you can buy this BBQ grill brush with ABSOLUTE CONFIDENCE. Try it now risk free!